Those who feel guilty for making time for themselves and always say Yes just to avoid potential disagreements—the time has come to rediscover your self-worth. This step-by-step guide will help you recognize what’s important to you and create boundaries without feeling guilty or rude. With time and steady application of these concepts, you will learn to release negative feelings and carve out more and more time for what is truly important. Become the master of your own life! While self-care is sometimes written off as selfish, taking care of yourself is essential. By learning to say No, you will discover opportunities to say Yes to your true self. Just when you think you have things figured out, this book makes you rethink that! 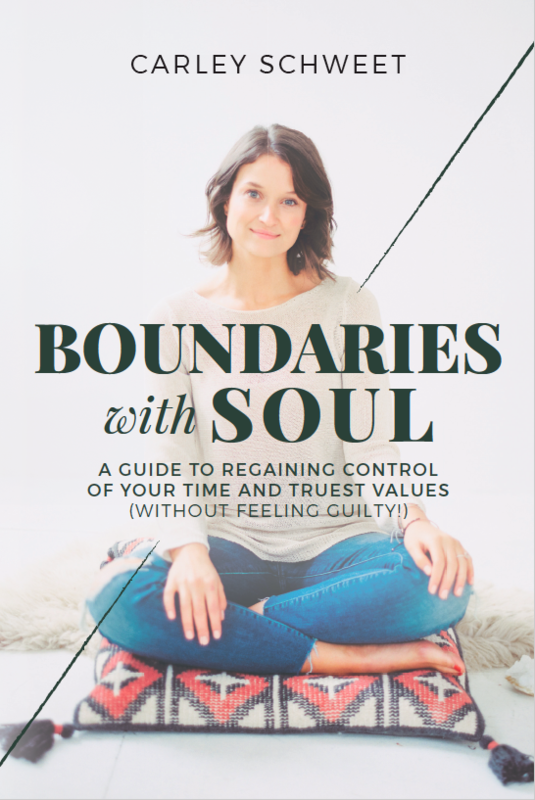 Boundaries with Soul is thought provoking, and the workbook made me realize that my life was truly in need of some boundaries. Looooove this book, so many “aha” moments here. Highly recommend if you want to feel more empowered, clear, and finally let go of the overwhelm of over-giving! Insightful, intuitive, and wise beyond her years, Carley has created a wonderful guidebook for those who need to set boundaries…self-care rituals, affirmations, and clear boundaries are new (or forgotten) vocabulary for many of us. Carley’s book will help to restore balance in our dynamic and challenging lives. Such a solid foundation (work)book for anyone looking to form boundaries in your life (which you should!) but don’t know where to begin. A great read!